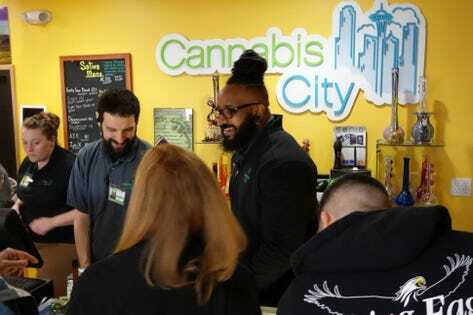 Getting high on April 20th has transformed over the past five years from a “stoner holiday” to a more broadly accepted occasion, so retailers are getting prepared for long lines, crowds, and less experienced consumers who need more help. April 20th is consistently the single biggest day in cannabis sales and because this year the date lands on a Saturday, marijuana retailers should expect double their typical sales on April 20 as well as significant increases on Friday April 19th. That’s according to the cannabis software and analytics company Headset based in Seattle, which has collected sales data around the 4/20 timeframe for the last four years from its partner-stores in Washington State, California, Nevada, and Colorado. The company has a catalog of over 330,000 products and has recorded $4.5 billion of transactions. Flowhub a point of sale and inventory management company based in Colorado predicts that the most popular categories on 4/20 will be items that are easily shareable and more approachable to newer consumers like dried smokable flower, cannabis-infused edibles, and pre-rolls (joints). Despite growth in the day’s overall sales this April 20th however, individual stores will notice increased competition and decreasing price points in mature cannabis states like Colorado and Oregon according to Flowhub. While baby boomers returning to cannabis or trying it for the first time may have the most time and money, there are other important customer segments. The oldest members of Generation Z, now 21 and 22 years old, will be the newest 4/20 customers and retailers should focus on “capturing their attention and wallets” as they enter the market, advised Headset. And while 4/20 is still the original cannabis holiday, stay tuned later this year to see how a new holiday shapes up. Green Wednesday, the day before Thanksgiving, is gaining traction as a time when people stock up for the long weekend with relatives.